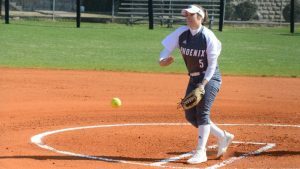 Cumberland’s Kayley Caplinger earned Mid-South Conference Pitcher of the Week honors Monday after recording three victories and allowing just two runs over 17.0 innings of work for the Phoenix. 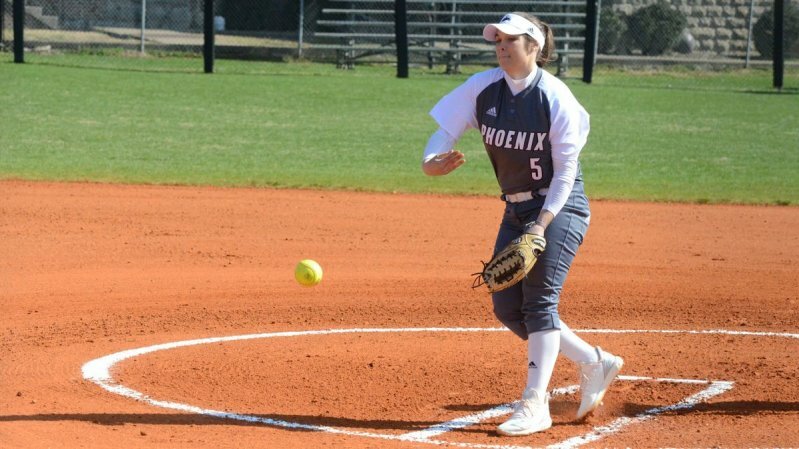 The Auburntown, Tenn., native worked 4.0 scoreless innings versus Hiwassee College, giving up two hits with four strikeouts in an 8-0 CU victory. The sophomore righthander then won the second game of the doubleheader at 20th-ranked Truett-McConnell, tossing a four-hit shutout and allowing just four hits with six strikeouts. Truett-McConnell managed only seven total baserunners in the contest, with Caplinger walking two and hitting another. The Bears had two runners in the same inning in the second and sixth innings, but she got a strikeout and lineout to end the second and a pop-out to finish the sixth. Caplinger ended the week with 6.0 innings versus Bryan College, giving up two runs in the first inning and nothing after that. She scattered six hits, walked two and struck out one, running her season record to 4-1 with a 0.48 ERA over 29.0 innings with 23 strikeouts.